The Cleveland Indians snapped a three-game string of poor starts by their pitchers, but couldn’t find enough offense to protect against a late bullpen collapse. 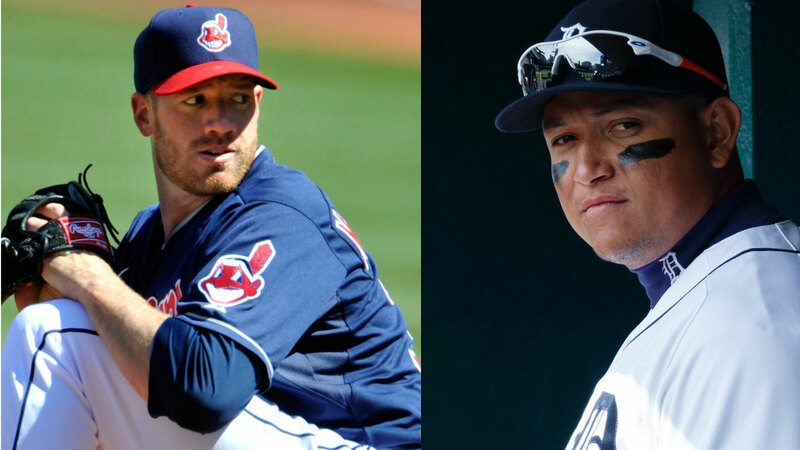 In Tuesday night’s opener against the Detroit Tigers, Zach McAllister draws the tough task of opposing Anibal Sanchez, who looks to continue his dominance over the Indians. Cleveland (6-7) had three straight starters surrender five earned runs while failing to throw five innings prior to Sunday, when Corey Kluber limited the White Sox to two runs over 7 1-3 innings. The Indians took a 3-2 edge heading into the bottom of the ninth before Alexei Ramirez hit a two-run walkoff homer off closer John Axford to send Cleveland to a 4-3 loss, its fourth in five games. Axford had yielded just one run and one hit through his first six appearances for Cleveland and converted his first four save opportunities. "Nobody in this game is perfect," David Murphy, the team leader with 11 RBIs, said of Axford. "But everybody in here has confidence in him and knows that he’s going to get it done pretty much every day." The Indians’ Nos. 1-4 hitters – Asdrubal Cabrera, Nick Swisher, Jason Kipnis and Carlos Santana – were a combined 2 for 15. Kipnis is hitting just .234 though he seems to have woken up a bit, going 5 for 16 during a four-game hitting streak, while the other three are hitting a combined .186 this season. Sanchez (0-0, 3.00 ERA) will look to keep them out of sorts while continuing his success versus Cleveland. He’s gone 4-0 with a 2.13 ERA over his last six starts against the Indians. Kipnis and Swisher are a combined 4 for 26 off him with 11 strikeouts. The right-hander was charged with three runs – one earned – over five innings of a 7-6 10-inning win over the Dodgers on Wednesday. The Tigers (6-4) are opening a season-high 10-game homestand after dropping two of three in San Diego. They opened 4-1 at Comerica Park against Baltimore and Kansas City and are 34-10 against Cleveland in Detroit since May 2, 2009. They won last season’s series 15-4. Detroit, which scored six runs in a win Saturday after being shut out Friday, took a 5-1 loss to the Padres on Sunday. Miguel Cabrera’s average fell to .225 after he was 1 for 12 in the series. His 25.3 swing-and-miss percentage is his highest since he missed 27.5 percent of the pitches he swung at as a rookie in 2003. He hit six homers and drove in 20 runs in 17 games against the Indians in 2013. Cabrera and the rest of the Tigers will dig in against McAllister (1-0, 2.31), who threw 7 2-3 innings in Wednesday’s 2-0 win over San Diego, striking out seven. He had given up three runs in just four-plus innings in his season debut against Oakland. McAllister recorded a 2.04 ERA over his first three starts versus Detroit prior to going 0-2 with a 9.00 ERA over three matchups last season. Cabrera is 4 for 13 against the right-hander, while Victor Martinez is 5 for 9 with three doubles. Martinez is hitting .367 in 46 games against his former team with 20 doubles and 39 RBIs. Michael Brantley is batting .469 during a nine-game hitting streak against the Tigers with six extra-base hits, while Austin Jackson also has six extra-base hits in a nine-game hitting streak versus Cleveland. He’s 5 for 10 against McAllister.